At the end of 1889, the declining health of the Society's founder, William Williams, led to his decision to retire as the Society's Secretary. He was awarded a retirement allowance of £250 a year and retained his connection with the work of the Society as Vice-Chairman of the General Committee and member of the Ships' Committee. He also continued to visit the Society's various homes. After a brief illness, he died on January 21st, 1892. In his memory, four staff cottages were erected at Bisley, known as the Williams Memorial Cottages. Reflecting the ever increasing workload of the Society's Secretary, Williams was succeeded by two joint holders of the post. In 1889, Mr Henry G Copeland was appointed Finance and Deputation Secretary. The following year, Mr H Bristow Allen, who had previously been Secretary of the Home for Working Boys, was appointed Secretary. 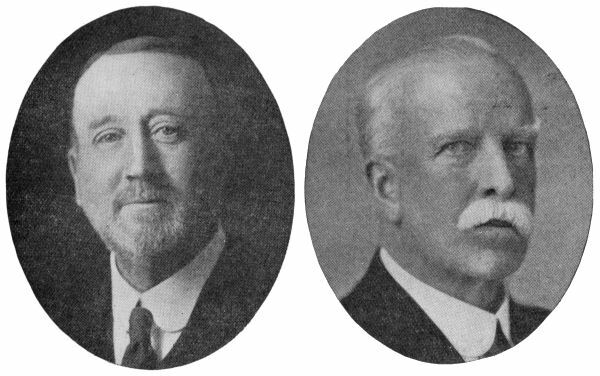 From 1904, the two became Joint Secretaries, working side by side until the end 1926, when Mr Wallen retired, with Mr Copeland also retiring the following Spring.